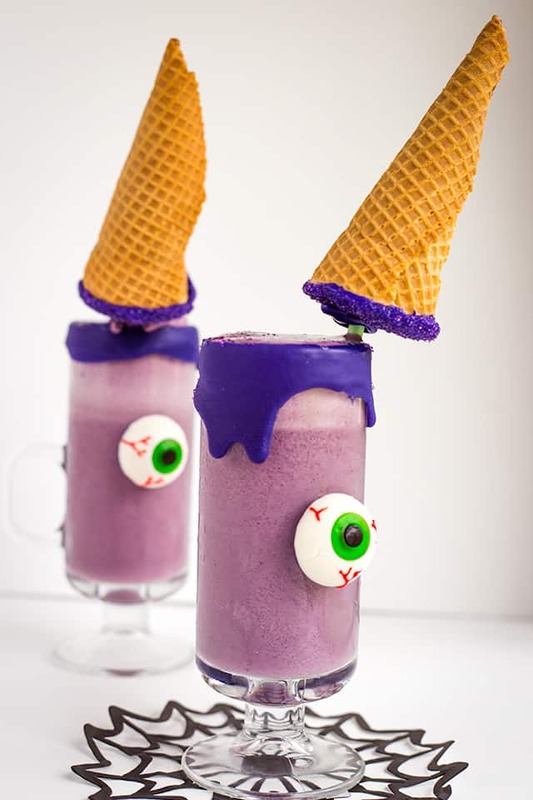 Halloween is right around the corner and I’m whipping up a fun kids Halloween drinks! 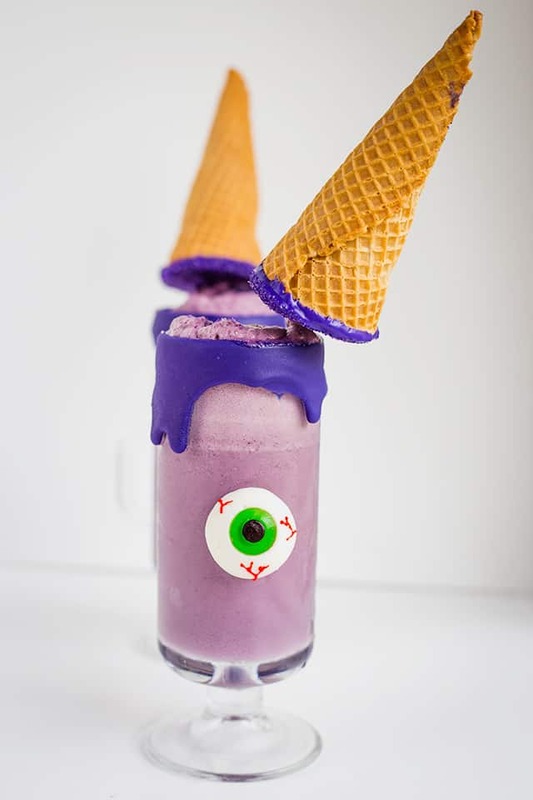 This Purple People Eater Drink is a bubbly drink full of black raspberry ice cream and soda. Here comes the fun part, it’s dressed up with a cake pop filled horn and a gummy eyeball! 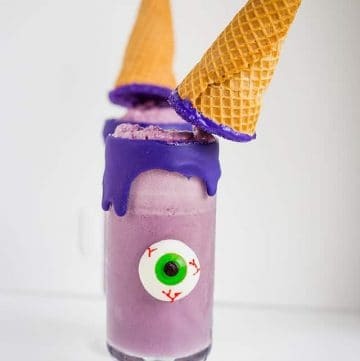 I’ve had this purple people eater drink idea in my head for months now. This isn’t a cocktail, it’s for kids! 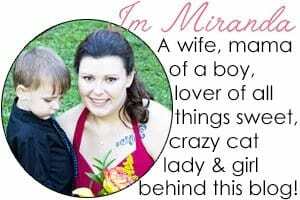 Though I think I had something with a similar name on my 21st birthday. I’m not positive though, that seems like forever ago now. 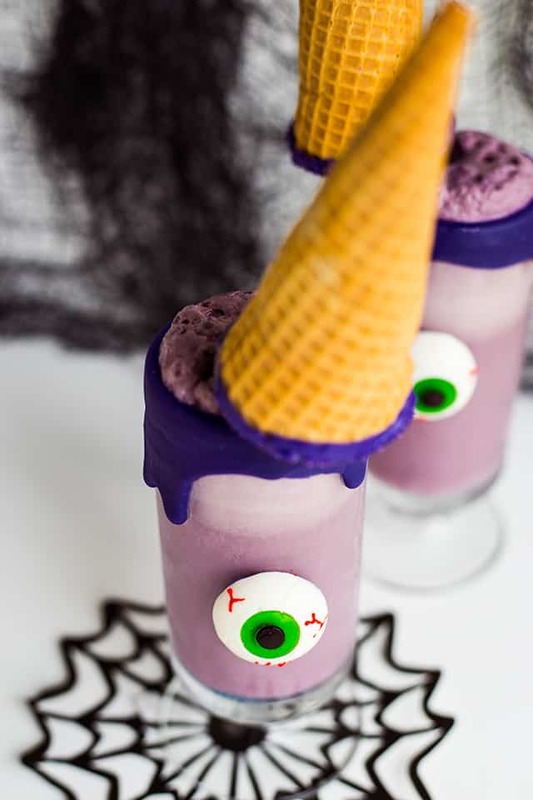 This kids Halloween drink is so darn cute and the horn will make a great treat! It’s stuffed full of cake pop. You can use any flavor cake you want. I opted for a vanilla cake. The cake pop horn will have to be made the day you’re planning on serving the drinks though. If they sit for any amount of time, the ice cream cone starts soaking up the oils in the cake and frosting and begins to soften. I don’t know about you, but I’m not a fan of a soft sugar cone. Begin making the cones by baking up a cake. I used a vanilla cake mix because we’re just making cake pops after all. After the cake is baked and cooled, mix it with frosting until it comes together into a big cake ball. Pop 12 sugar cones into a waffle cone baking rack and begin stuffing them with the cake pop mixture. I had a little cake pop mixture left over that I just scooped up with a cookie scoop and rolled them until their smooth and dipped in extra candy melts. 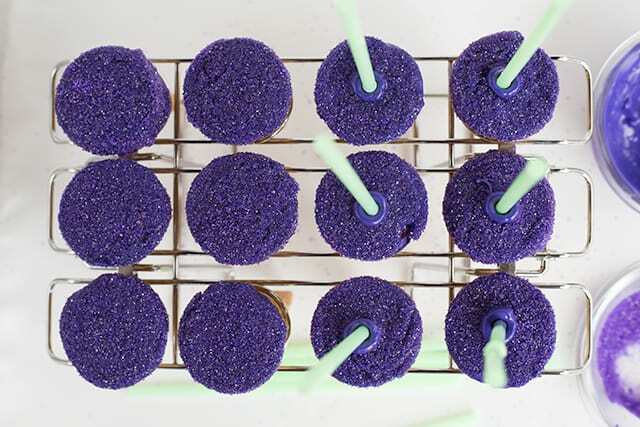 To seal in the cake pops, I dipped the bottoms of the cone in candy melt and then in some purple sanding sugar. Before the candy melts could dry, I quickly dipped a straw in in the candy melt and inserted it into the cone about an inch and half to two inches. I used the bendy straws and pushed them up until the bend part was inside the cone. You’ll want the straws long enough to sit at the top of the rim of your glass. If your glass isn’t as tall as mine, just cut the end of the straw to make them a little shorter. Now let them set up. Next step, whip up some ganache with more of the purple candy melts and heavy cream. Dip the glass in the ganache and let a lot of the excess drop off from it while it’s upside down. Flip it right-side up and tap it on the counter to get the ganache to drip slightly. You can add more purple sanding sugar to the ganache if you want. Add the gummy eye on with leftover candy melt. 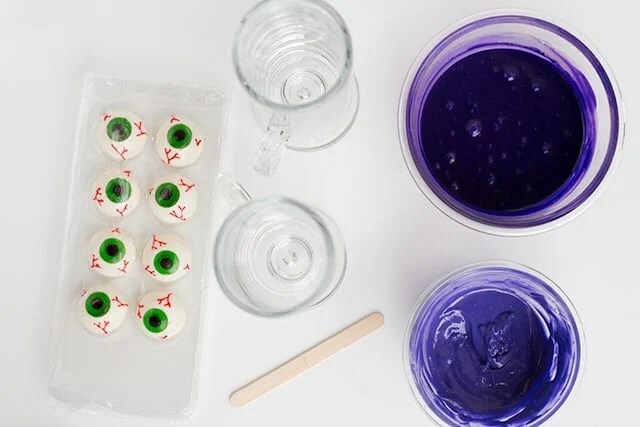 Apply a thin amount in the center of the gummy eye and spread it out. Don’t go to the edge of the eye because it will squeeze out from behind the eye when you press it on the glass. After it’s on there, let it set up for what seems like forever but is actually like 10 or 15 minutes until it’s completely dry. You’re finally ready to make that purple punch! You’ve probably read where I’ve mentioned for the bazillionth time that I seldom eat ice cream right? Still true, but I’ve always had a fondness for black raspberry ice cream. It was the ice cream I used to eat when we went camping. Ahhh, those were the good days. Anyway, black raspberry ice cream is purple and fruity. 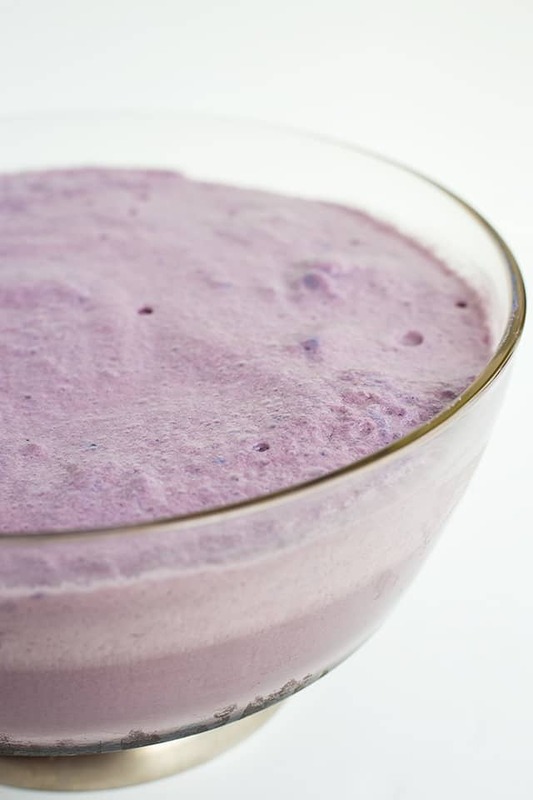 It’s the perfect ice cream to use for this purple punch recipe. You can add a little purple gel food color, but I don’t think it would be necessary. Next up, add either a lemon-lime soda or ginger ale to the punch. I used a lemon-lime soda and it was fantastic! So foamy and pretty. Stir the purple punch to help get rid of some of the foam and combine the ice cream and soda. Ladle it into the prepared glasses and add the horn to the top! Remember to make sure that the straw is just long enough for the horn to sit near the rim of the glass. I’m telling you, kids will love this! Once the cake is baked and cooled, crumble it up into a large mixing bowl. Add the frosting and incorporate the frosting using a spatula or a hand mixer. Work the cake pop mixture until it forms a ball without any dry bits remaining in the bottom of the bowl. Add the sugar cones into the waffle cone rack. Begin filling the cones with the cake pop filling using a butter knife to push the cake pop mixture down into the cone. Once all of the cones are filled, set them aside and begin working on the candy melts. Add the purple candy melts into a small microwave-safe bowl. Begin microwaving in 30-second intervals and stirring after each interval. Repeat until there are no lumps in the candy melts. Add the coconut oil into the candy melts and stir until the coconut oil is completely melted and incorporated. Add the sanding sugar into a shall bowl. Begin dipping the horns into the candy melts. Let any excess candy melts drip off. Immediately dip the wet candy melts into the sanding sugar. Set it back into the waffle cone rack. Dip the bendy side of the straw into the candy melt and press it into the center of the sugarcoated candy melts. Press until the bendy part is no longer sticking out. Repeat dipping all the cones and placing straws in them. Set aside to let them set up and begin working on prepping your glass. When picking a glass to use, make sure the horns can sit at the rim of the glass. If yours is too tall, cut the straw down. In a microwave-safe bowl, add in the candy melts and heavy cream. Heat in 30-second intervals and stir after each interval. Repeat until the ganache is smooth. Dip each glass into the ganache. I twist the bowl and flip it right-side up and give it a few taps on the table to get some nice drips down the glass. Let the ganache set up for about 10 minutes before adding the eye. Heat the candy melts that we used for the horn back up for 30 seconds to make sure they're in liquid form. 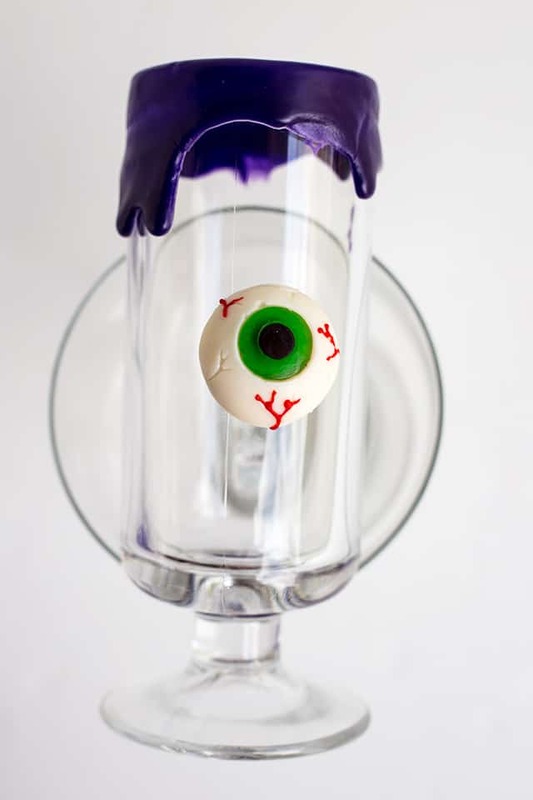 Add a small amount of candy melt into the center of the gummy eye and spread it towards the edge of the eye. Press the eye about half way down the glass below the ganache. Either hold it or find a bowl it sit the glass to keep the eye sitting level. Let it dry for 10 to 15 minutes. Once the eye is set up, work on the purple punch. Let the ice cream set out at room temperature for about 10 minutes to let it soften. Scoop the ice cream into a punch bowl using an ice cream scoop. 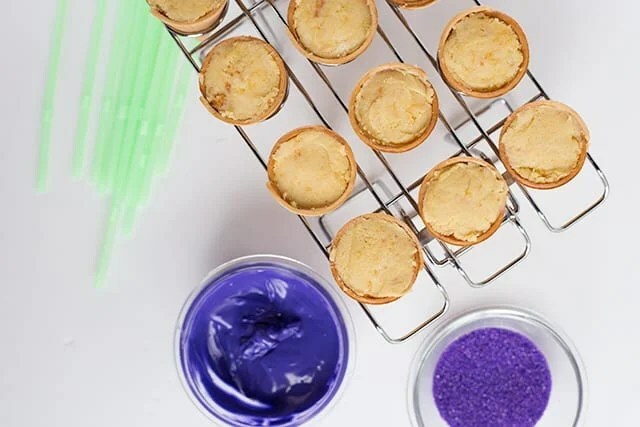 Add in purple food coloring if you're using it. Pour the lemon-lime soda or ginger ale over top of it. It will foam up. You may have to stir it to add more soda. Pour the purple punch into each of the glasses. Add the horn into the glass. Instead of purple candy melts, I used 1/2 cup of royal blue candy melts and 8 pieces of bright pink for the purple candy melts for the horn and ganache.